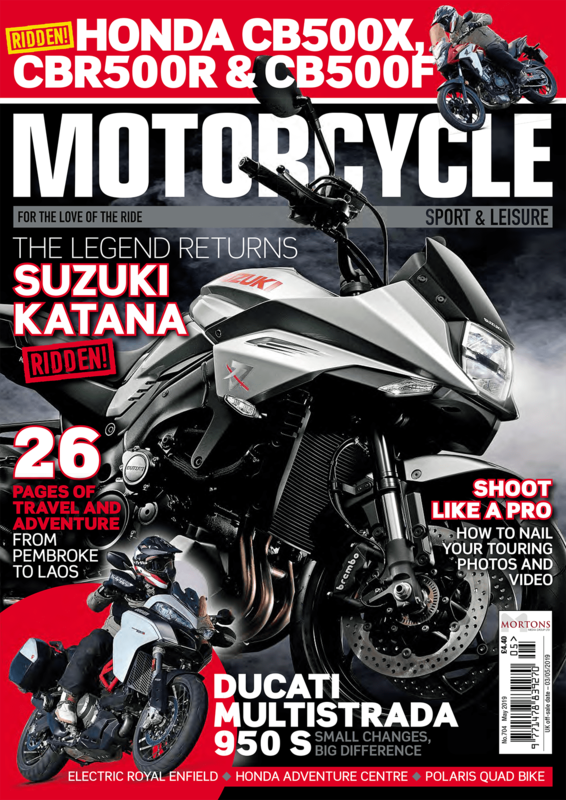 You don’t need a week in Europe or an overdraft to go on a motorcycle adventure. If you’re ready to give hotel accommodation a miss, wild camping on a shoestring is available just up the road in Scotland. It’s cheap and cheerful, you’re surrounded by natural beauty and it feels like a proper adventure. Scotland is a perfect destination for an adventure like this. It’s within a day’s riding from most parts of the UK, and once you’re there the scenery is truly breath-taking. The roads are in good condition with plenty of lovely bends, and most importantly, wild camping is legal! Where can you camp in Scotland? Most people choose remote, naturally beautiful places to camp, but wild camping is perfectly legal anywhere in Scotland, as long as you stick to the Scottish Outdoor Access Code. Basically, you just have to stay away from private land, keep your distance from roads, houses and historic structures, respect your surroundings and leave your camp as tidy as you found it. There should be no peeing near any rivers or lakes, and if you need a number two, dig a hole, do your business and cover it (again, well away from any water ways). You are also expected to camp in small numbers (no school groups, thank you very much), only stay a couple of nights in one place, and pitch your tent late and leave early so you cause as little disturbance as possible. Modern camping equipment is brilliant! From tents and sleeping bags to camping luxury items the gear you get these days is miles better than the stuff we used to have back in our Boy Scout days. A proper tent is a good start! We recently tested the big Atacama garage tent from Redverz, which is big enough to fit an adventure bike in the porch and a couple of people in the sleeping area with no problem. 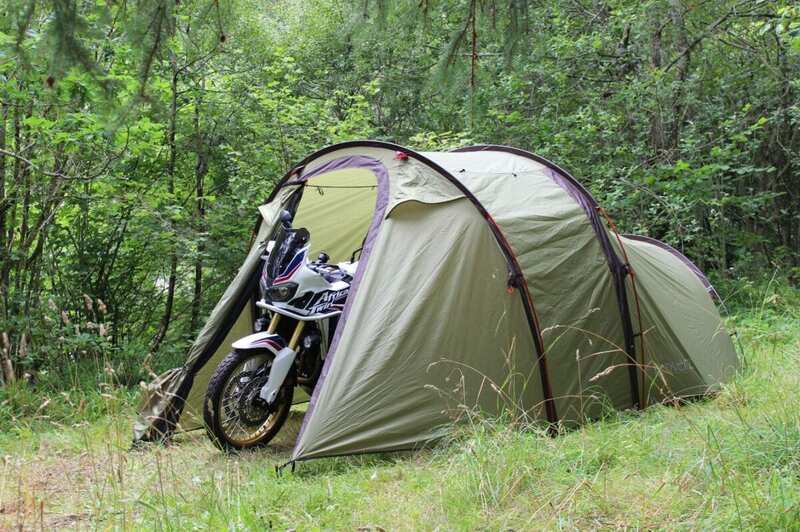 The tent was up in 10 minutes and swallowed the Africa Twin whole. With all the zips firmly closed the tent blended into the scenery perfectly – you wouldn’t know there was a massive adventure bike hiding in there. Something like the Helinox camp bed is a bit of a luxury item, but if you don’t like sleeping mats, it will make a world of difference and help you get a good night’s sleep out in the wild. If you’re ok without a camp bed, a Sea to Summit sleeping mat and an inflatable pillow that we also tested worked a treat too. They only take a moment to inflate and deflate, and once used, pack away really small, so they don’t take much room on the bike. Bringing some tools with you is a good idea as you are likely to be pretty far away from mechanical assistance. 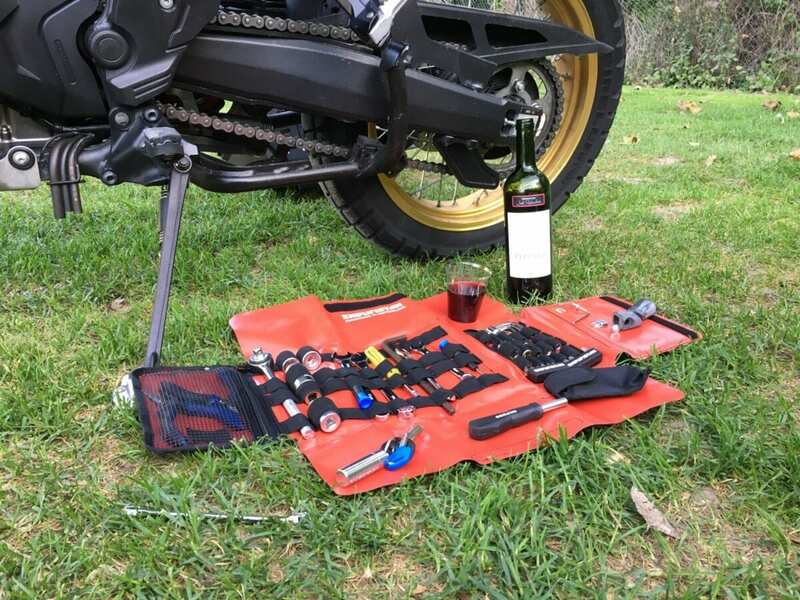 Something like the Enduristan tool roll, will be handy as you can fit pretty much all the tools you’ll need in it. 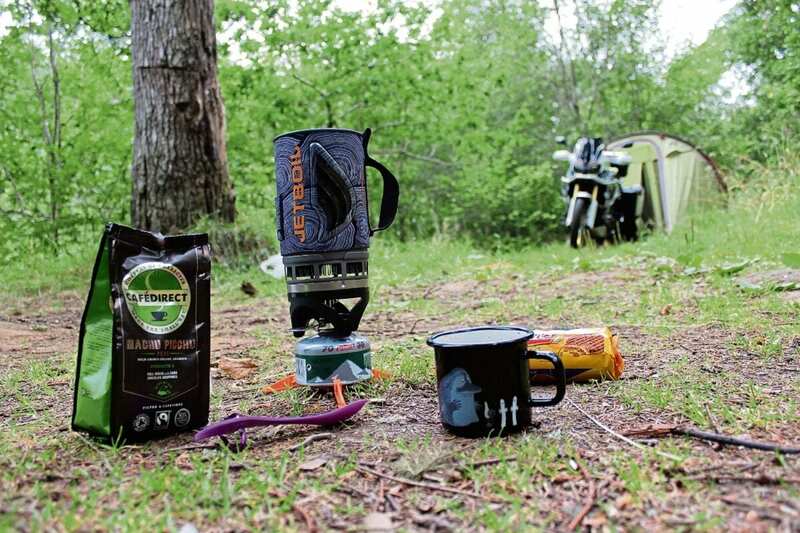 In addition to the basic equipment, there’s plenty of stuff that can make your wild camping experience just a bit more comfortable or even luxurious. 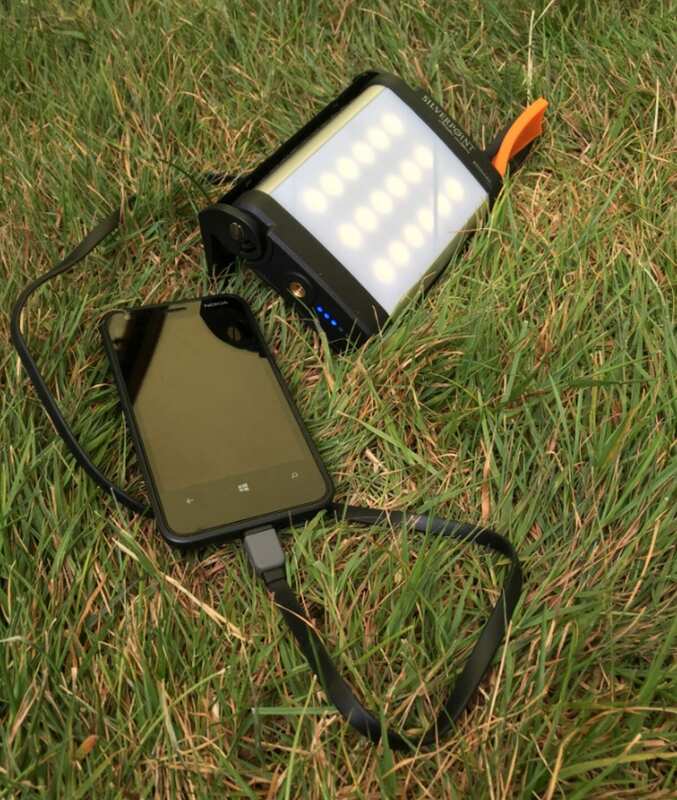 For example, a Jetboil camping stove only takes a moment to start bubbling up a brew, and a powerpack/lantern will keep your phone charged and help you see when you’re far away from the city lights. Weather is the main consideration, but not the only one: It’s Scotland after all, so there will be midges! Spring and autumn are good times to go, with the number of midges lower and the temperature still tolerable. Of course, if you’re hard enough, going earlier in the spring and later in the autumn will reward you with quieter roads and fewer winged little beasts, but you will suffer colder nights. Strike the balance right though, and you will have a fantastic time in one of the most beautiful settings in the UK.